Aztec legend reveres the feathered serpent god Quetzalcóatl. The master of wind, air, and learning is still a mythic figure in Mexico — but the legend is particularly vibrant just north of Mexico City. About 30 minutes outside of downtown Mexico City, a gigantic tiled serpent slithers across the forest. And it’s available for rent. 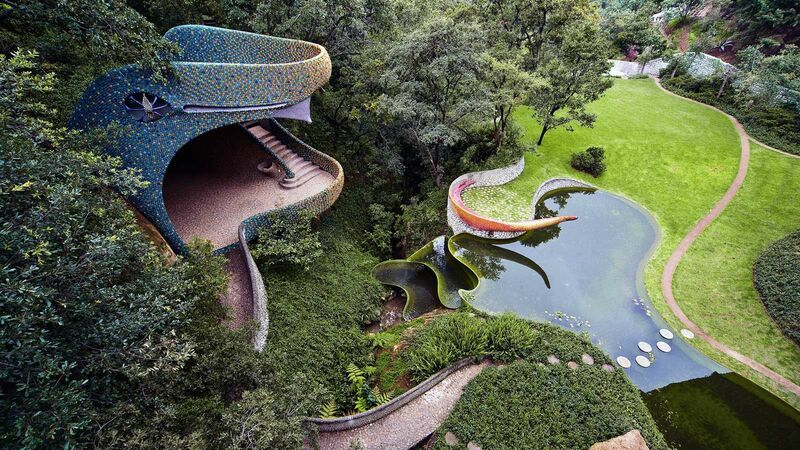 Newly listed on Airbnb is Nido de Quetzalcóatl, or Quetzalcoatl's Nest. 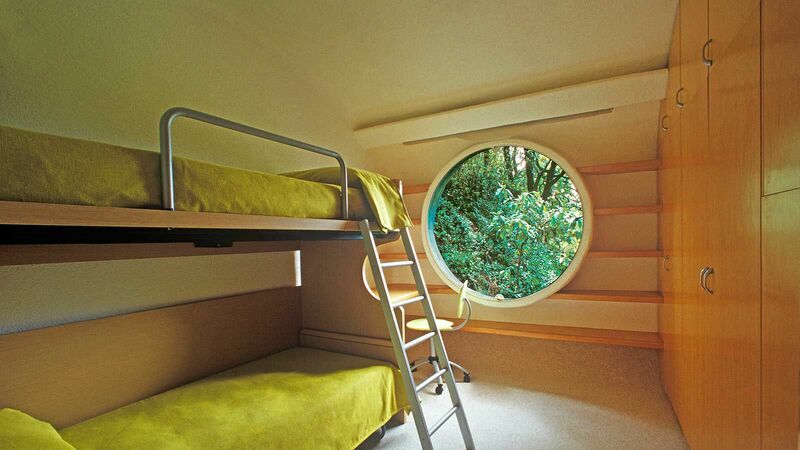 Up to eight people can sleep across five bedrooms in the belly of the beast. 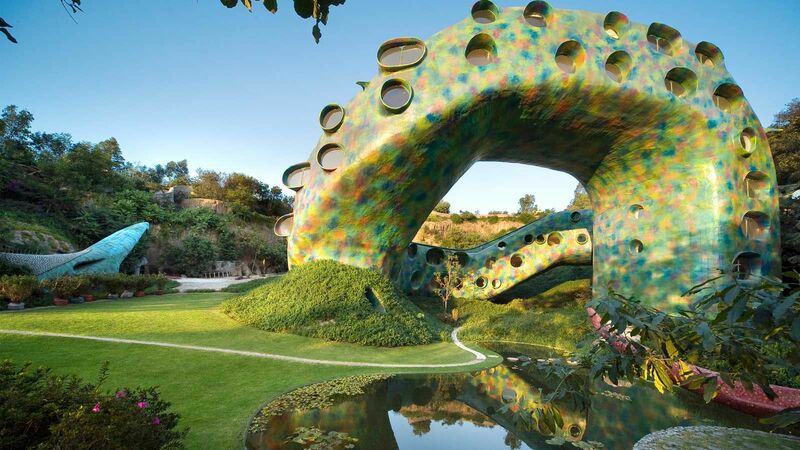 From round windows throughout the snake’s body, guests have views of the surrounding park. Guests can wander around the fantastic structure, walking in and out of the serpent’s mouth or lounging by the nearby reflecting pools. Labyrinths, tunnels, and flower gardens invite visitors to explore the nature of the 5,000-square-meter site. The park is full of caves and caverns, one of which inspired the architect to design his modern Aztec building. To book: airbnb.com, from $226 per night.